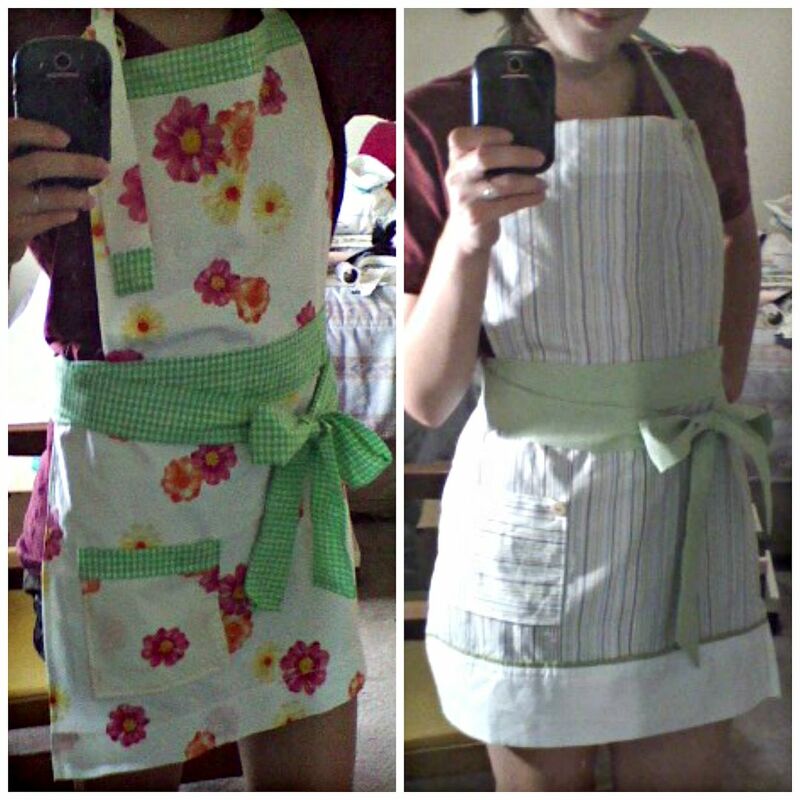 I have a lot of love for aprons. The obvious reason being that aprons protect your clothes during messy kitchen experiments. But I also like how a pretty apron can you feel a bit better about yourself when you've been lounging around the house in an old t-shirt and sweats all day. Yes, those two reasons contradict each other. That's why I like having multiple aprons. I always keep one around that I don't mind getting dirty and the others I use for less messy cooking. The other reason I'm so fond of aprons is that they were first real sewing projects when I decided to get serious about learning how to sew. Along with the basics, they taught me how to sew waistbands, use interfacing, and make ruffles. These skills were very useful for other projects. 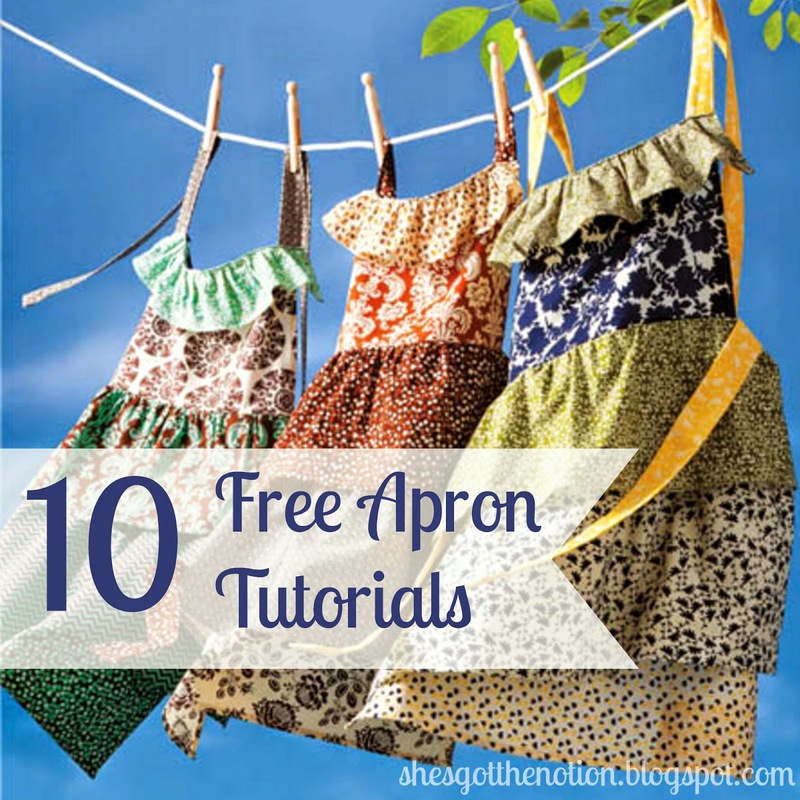 Aprons teach a lot of the basics for clothes making, but with less expensive fabrics and less worry about messing up. After all, it's just an apron! 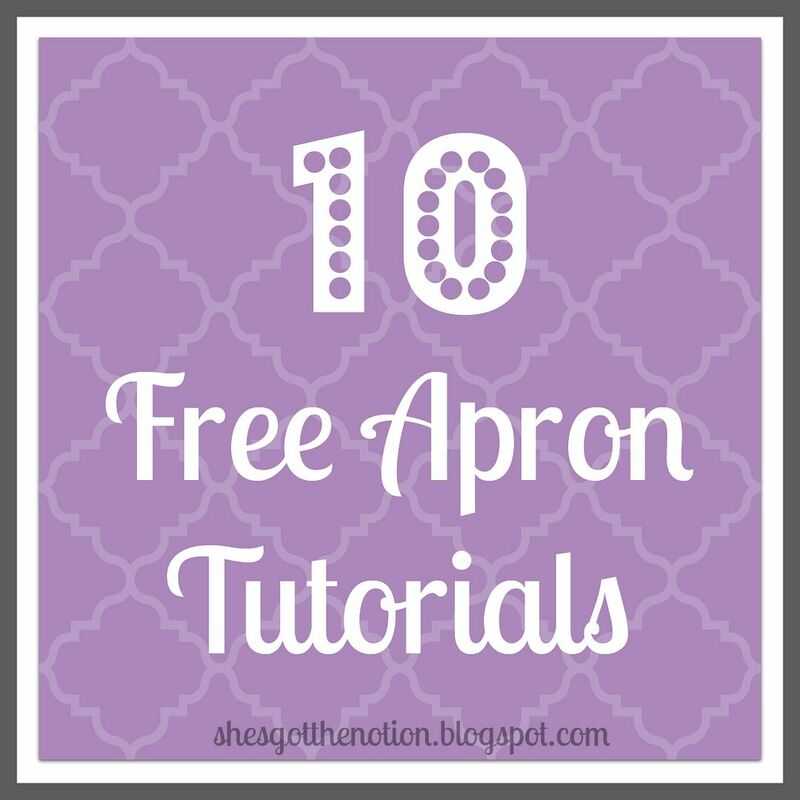 I've rounded up for you 10 free apron tutorials. Some I've made, some I want to make, and others I just think are pretty. Vintage Pillowcase Apron from the Vintage Sheet Blog: Who doesn't have an old pillowcase laying around unused? If you don't, you can search your mom's linen closet or your local thrift shop. 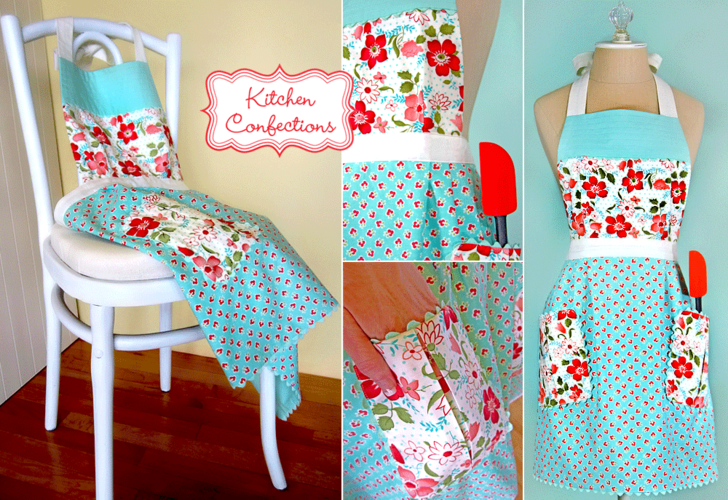 All you need for this apron is a pillowcase and 1/2 yard of coordinating fabric. It's easy and cute. It uses the hem of the pillowcase for the skirt hem, so no is hemming required. I've made this apron twice! 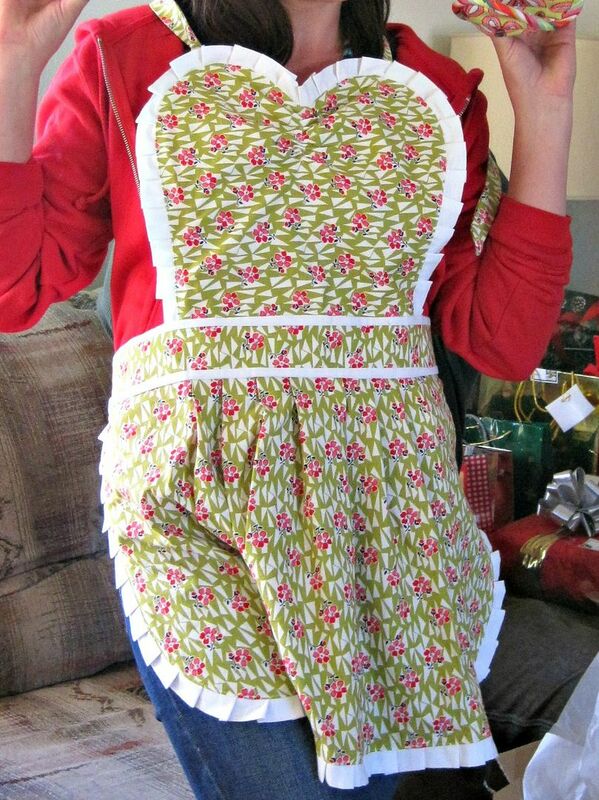 Easy Apron from Polkanuts: This apron is made out of two hand towels and fabric scraps. I admit wipe my hands on my apron often, so making an apron out of towels is so smart. It even has pockets! Hostess Apron with Dreamy Bow from Sew4Home: A huge bow, giant ric rac, AND a ruffled skirt. This apron has something to please everyone. Ruffle Apron from Joann.com: For the ruffle lover. This apron would make great use of scrap fabric. Amy's Apron Tutorial from Wholly Kao: I used this tutorial to sew an apron for a Christmas present last year. I love the ruffles and the sweetheart neckline. Spice-It-Up Apron from the Art Gallery Fabrics Blog: I love the pleated bib and the ruffle detail on the bottom. There's even instructions to make a coordinating flower accent. 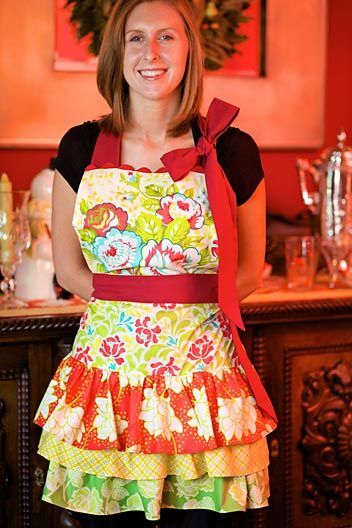 Pleated Apron from Sew4Home: Who doesn't love an apron with pockets? The pockets, bib, and skirt all have ric rac detail. Retro Apron from AllFreeSewing.com: This half-apron was one of my first sewing projects. It's made from coordinating fabric scraps and an upcycled pillowcase. The detailed tutorial with pictures makes it suitable for beginners to make. modkid Poppies Apron from Joann.com: I love the unique, giant pocket on this apron. RazzelBerry Apron from sewing in no mans land: I like this apron because it gives two examples of how you can change up the pattern to give it different looks. It can be easily customized to suit your needs or tastes.